This is a selection of recommended accommodation in Hotels, Inns and Cottages to enhance your weekend break or holiday in the Cotswolds. 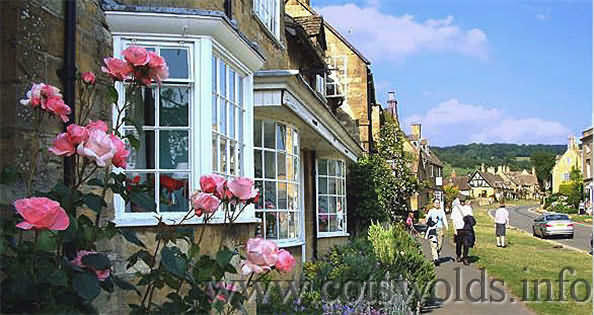 Broadway is one of the most beautiful villages in England. Alternatively go here for a list of Broadway Bed and Breakfasts. As to be expected from being one of the most visited Cotswold villages, Broadway has a good variety of accommodation in the form of hotels, B&B's, holiday cottages and inns. The village has also a good selection of restaurants and tea shops. The village has one of the longest High Streets in the UK and a wide selection of shops to satisfy those in need of retail therapy. Originally a 17th century farmhouse, Dormy House is a lesson in fine design. It’s only when you step inside that you begin to understand what the Dormy is really about. Contemporary design meets Cotswold chic. It’s a relaxing place where you’re encouraged to kick off your shoes and put your feet up. After all, that’s what the furniture is for. House Spa has a serious mission and a light-hearted touch. (Signs remind you to “Switch off your mobile phone and come to your senses.”) Indulgent treatments are designed to bring noticeable health benefits; and you will be able to swim and gym to your heart’s content. 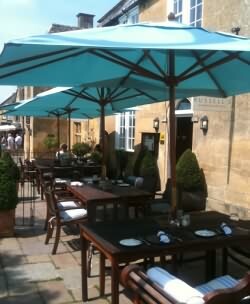 Dormy House has long been at the centre of the Cotswold’s gastronomic map with two delicious dining experiences. The Garden Room restaurant proves that fine dining doesn’t have to be fussy while next door The Potting Shed is all about great local grub. The Cotswold’s best-loved boutique hotel has bedrooms to knock your socks off. 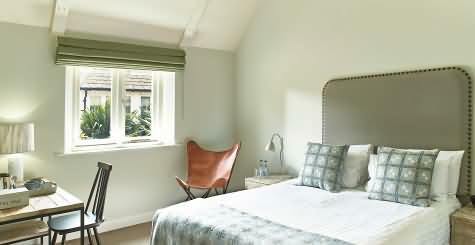 They’re relaxed, they’re glamorous, and we think they make us the chicest farmhouse in the Cotswolds. 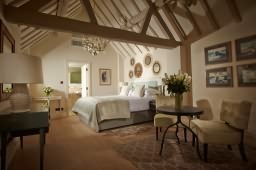 Each of the hotel’s 38 en-suite rooms has been individually designed by leading interior specialist Todhunter Earle and blends classic country charm with contemporary style. And while each room has its own personality, they are all elegantly informal and ooze with understated opulence. All our gorgeous guestrooms and splendid suites have a very keen eye for detail, so expect fresh flowers, fine linen and fantastic room service. After all it’s what fantastic rooms deserve. We have stunning Cotswold bedrooms for every mood. Whether you want to go traditional in the main farmhouse, private and secluded, super stylish, or rustic in Rose Cottage, there’s a room waiting for you. On the ground floor guests can lounge around an 16 metre infinity pool (if that isn’t an oxymoron) while upstairs you can graze in the sumptuous new glass pavilion while the Cotswold wildlife gazes back. There’s also a state of the art gym with personal trainers waiting to get you buff, but if that sounds like hard work why not head to the Veuve Cliquot Nail Bar to get your fingernails buffed instead. As everybody knows luxury spas are all about luxury treatments and with more than 50 to choose from you just might work-up a sweat deciding where to begin. We have teamed up with the botanical whizz-kids at Temple Spa to create a range of ethical treatments so you can enjoy sin-free indulgence which doesn’t cost the earth. Welcome to The Broadway Hotel, a striking half timbered building, overlooking a fine village green at the heart of the village. 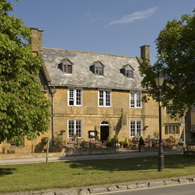 Broadway’s main street beyond is lined with picturesque Cotswold cottages and antique shops, galleries, cafes and even museums. Arriving at the hotel, you’ll be greeted by our staff, who are ready to make your stay enjoyable and memorable. Take a seat in the library or lounge, where log fires and relaxing sofas await or head to the bar for a welcome local ale, or coffee. A wonderful place to be at any time of year, the Broadway Hotel is ideally placed for visiting historic sites, the many beautiful golf courses in the rolling Cotswold countryside, inspirational gardens or for a trip to the races at Cheltenham or Warwick. After a day of exploring, relax by the fire in the Sitting Room, where afternoon tea and evening drinks are served before supper in the bar of Tattersalls Brasserie. And so to bed. The centrepiece of this idyllic Cotswolds village of Broadway, Russell's is one of the chicest places to eat and stay in the UK. Check in now to experience this Cotswolds hotel's delicious modern British food with seven guest rooms and suites all set in laid-back, stylish surroundings. Please check our website for any special promotional offers. Room prices start from only £99.00 per night including a hearty full English breakfast. Almost everything. As well as your room, the rate covers a full breakfast, snacks and drinks throughout the day, and all sorts of other little surprises. It also includes a shuttle service to and from Dormy House or Broadway village, as well as the dedicated attention of your personal host who is on hand at the front desk 24 hours a day and daily housekeeping and turn-down service. The only things you need to pay extra for are lunch, dinner or any bottles you happen to pluck from the Foxhill wine cellar. 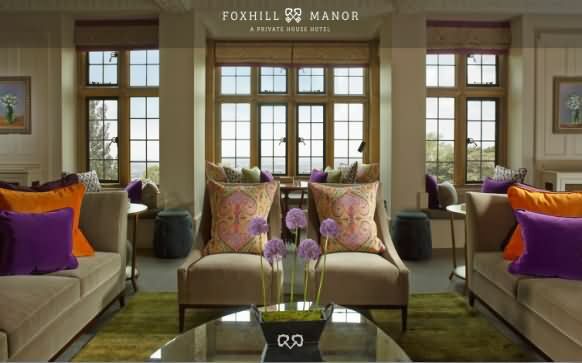 Also included in the rate for Foxhill Manor guests is the option to whizz up the hill to Dormy House to use the House Spa (treatments are extra) – we’ll take you up and back, so no need to worry about avoiding a glass or two in the Champagne nail bar if it takes your fancy. Hotel stays are available Tuesday to Saturday. Exclusive use is available 7-days a week. Of course! Our chef will creates a four-course menu every-day from local farmed and foraged fair. However, you can go ‘off-piste’ and ask Chef to whip up anything you particularly like. (Our motto at Foxhill is: ‘whatever you fancy, wherever you fancy it’.) 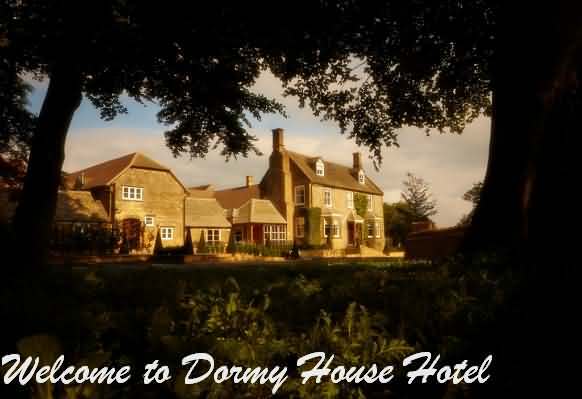 You can eat in our cosy restaurant, in your room or suite, or pop up to sister hotel Dormy House for a meal at either of the restaurants there. 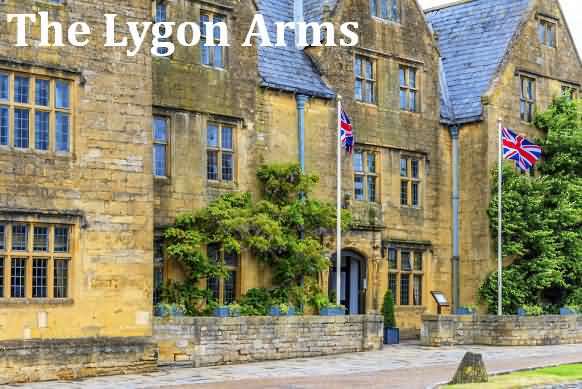 The Lygon Arms is a 16th-century building set in 3 acres of picturesque grounds. It has a luxury spa and health club, swimming pool, tennis court, and offers award-winning food. 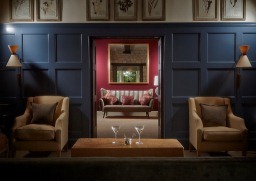 Rooms at The Lygon Arms are either modern or traditional. Satellite TV, a hairdryer, and free toiletries are provided in all rooms, with Wi-Fi access also available. Some also retain period features such as oak-beamed ceilings or open fireplaces. Guests can enjoy free use of the hotel’s health club, with an indoor heated swimming pool, sauna, fitness centre, croquet lawn and archery. Luxury spa treatments are also available. Dining at The Lygon Arms is provided in The Great Hall, which is decorated with suits of armour. A varied à la carte menu is offered to guests, or informal dining can be enjoyed at Barrington's Bistro, all with fresh, locally sourced ingredients. Free parking is available, and the nearby Cotswolds provide numerous scenic walks. This cottage is ideally situated in the village near to the 11th-century Norman Church and positioned next to Broadway Court. 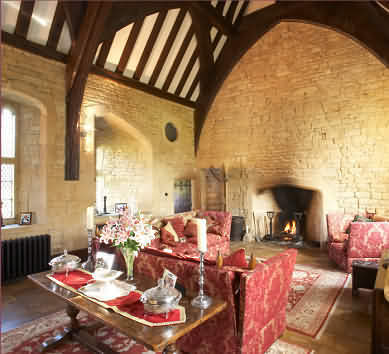 It is a very old building of Cotswold stone and oak timbers. With private parking , a very good large lounge, double and twin bedrooms upstairs with balcony access from the double room, bathroom and kitchen. These two charming Cotswold Character cottages are set in a picturesque garden complete with patio and stream. They are both fully equipped and furnished to a high standard. Although quietly located, situated up a private road with private parking, the cottages are just a few minutes walk from the village centre. Each cottage consists of hall, downstairs cloakroom, sitting room with gas log fire, includes a flat screen television, DVD player, a selection of games. With also access to the patio. Two bedrooms (one double, one twin) upstairs with bathroom equipped with shower. Fully equipped fitted kitchen/breakfast room also having a washing machine. Full central heating. Bed and Breakfast accommodation can also be provided at the nearby The Crown and Trumpet Inn. The Apartment at Hillside Lodge is a luxuriously appointed, self contained ONE bedroom apartment, set in beautiful gardens and occupying a unique position with far ranging views over the village of Broadway. Surrounded on three sides by rolling hills and meadows, it is ideal for couples who enjoy relaxing country walks or simply looking for a special break. Inside, the apartment has been tastefully furnished and is fully equipped. The kitchen, adjacent to the dining area, comprises stove, fridge/freezer, microwave and all the other necessities for the preparation of light meals. The lounge area has an oversized leather recliner sofa, wide screen HDTV, with video and cable, and free wireless broadband connection all backed up with an extensive collection of books, videos, games and puzzles. The oversize king-size bed is complemented with a large walk in closet, complete with security safe, and freshly laundered bath robes for the use of our guests. Naturally, all bed linens and towels are supplied, and the adjacent bathroom is stocked with our own bespoke toiletries for your convenience. Full laundry facilities, including detergents and softener so are also available by arrangement. Outside, Hillside Lodge overlooks the village of Broadway and is surrounded on three sides by acres of rolling National Trust woods and meadows, with the most glorious views of any property in the area. Attached to the side of Hillside Lodge, the Apartment has its own entrance and large secure parking area. Your hosts, Angus and Anne Brown are always available to help with directions, or to recommend places to eat or shop, but otherwise respect your privacy. 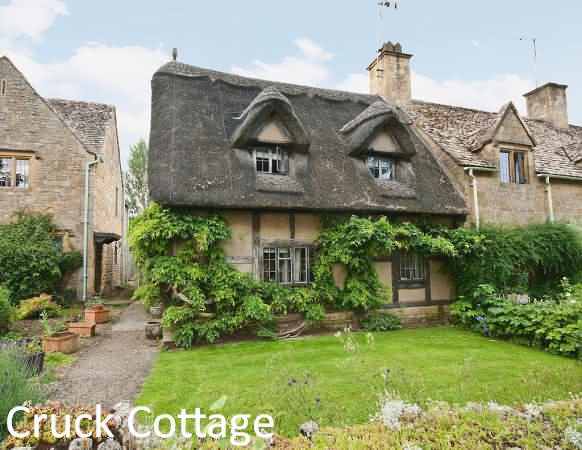 This pretty, thatched holiday cottage with far reaching views is located just 400 yards from the heart of beautiful Broadway. One of a pair, built in the 15th century, this half-timbered property has undergone total renovation to provide a modern, up-to-date interior and has a peaceful cottage garden in which to relax after a busy day sightseeing. Sleeps 4 in two bedrooms; free parking and dog friendly. The village of Broadway is often called the "showpiece of the Cotswolds" and there are many visitors who come to its broad, green-verged street to admire its attractive rows of old stone cottages with their bow windows and stone-tiled roofs. A fascinating area with many NT properties and internationally famous gardens, such as Hidcote Manor and Kiftsgate Court. Shops 400 yards, pubs 0.3 mile. Situated just behind the village green of Broadway this traditional 17th Century Inn, built in Cotswold stone, provides Accommodation with five rooms for Midweek and Weekend breaks. Providing Wi-Fi service. Serving Lunch and Dinners all through the week using locally produced ingredients to make seasonally cooked home made dishes at this broadway pub. Monthly Jazz and Blues on Thursday evenings as well as musical entertainment every Friday and Saturday evening. All of our events are free entry, but on Thursday Jazz and Blues evenings we do ask that you indulge in at least a two course meal when you book a table.